If you’re seeking a little piercing inspiration, look no further than the Instagram feeds of some industry-reigning style bloggers. These stylish women have the art of the fashion-girl ear party down to a science, which is no small feat. With the amount of options available when it comes to not only piercing placement but also, subsequently, which earrings to put where, it takes an in-the-know girl to get it right. Whether you’re a piercing novice, want some styling ideas for your own ear party, or would just like a few new additions to your Pinterest board, these six bloggers’ piercings are absolute must-sees. Our main tip, based on our research? If you have side-by-side piercings and haven’t tried wearing two of the same hoop earrings on the same ear (a favorite look of these bloggers), we highly encourage you to give it a go. It’s cool, it’s simple, and it adds instant edge, even if you don’t have an ear full of piercings like the bloggers you’re about to see. 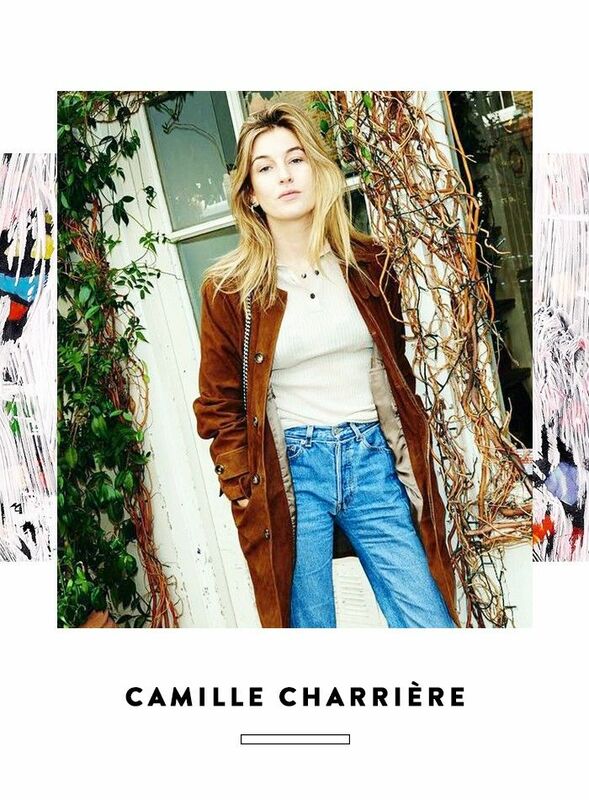 Parisian blogger Camille Charrière of Camille Over the Rainbow has perfected the task of making multiple piercings look utterly cool and almost subtle, in the best way possible. Courtney Trop of Always Judging relies on a mix of crosses, hoops, studs, and drop earrings for what always amounts to a creative, artful result. A little more unexpected than hoops but just as easy to mix and match. This drop makes a subtle statement, but a statement nonetheless. The former blogger and creator of The Blonde Salad and Chiara Ferragni Collection is an earring mixing champ, which she consistently displays on her Instagram. She regularly mixes and matches different shapes and sizes up and down her ears, and it always works. We could see any one of these bloggers wearing an ear full of these pretty hoops. Fashion girls love this brand for its delicate yet eye-catching pieces. Pandora Sykes loves to make a statement with her ear party, regularly mixing on-trend oversize earrings along with her smaller studs and hoops. She serves as proof that girls with multiple piercings needn’t avoid statement-making danglers. Perfect for pairing with smaller hoops. PSA: Isabel Marant makes stunning earrings (that won’t break the bank). Fashion Toast blogger and Are You Am I creator Rumi Neely possesses an ear party that’s made especially edgy. She tends to favor a row of the same earrings for her piercings. Get used to compliments when wearing these sparklers. Catbird will never let you down when it comes to adding to your earring collection. New York–based Danielle Bernstein of We Wore What is a must-follow if you’re on the market for piercing inspiration. She regularly displays her ear party situation, which typically includes a cool mix of studs and hoops, sometimes throwing in an oversize earring or two. This cool 14K gold loop is a mere $30—a steal, if you ask us! Stock up on these affordable hoops if you want to try the matching earring look with your piercings. What are your favorite piercing placements? Tell us in the comments below!